Happy Birthday Addy! | The Happy Wonderer ~ ellen b. Today our little miss Addy is one year old. Wow did this year zoom by. It’s amazing to see the leaps in growth and development of our little granddaughter. Happy Birthday Addy. Baba and Gramps love you dearly. We pray that God will bless you and keep you and give you a heart to follow Him. We are looking forward to your birthday party on Saturday! 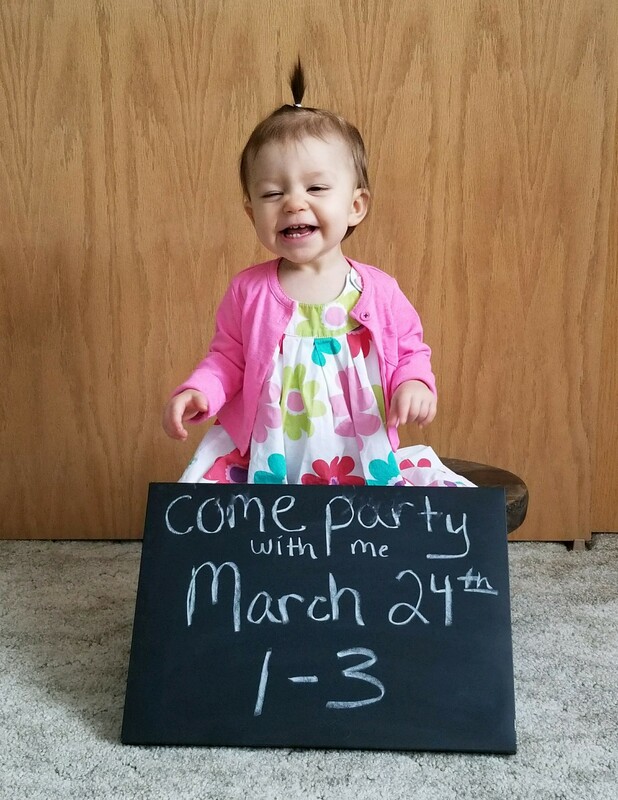 Posted on March 20, 2018 by Ellen •	This entry was posted in Addyson May, Grandchildren and tagged 1st Birthday, Addyson May 1 Year Old, First Day of Spring. Bookmark the permalink. What a wonderful photographic record. Where has a year gone? Addy is delightful, and I’m sure her party will be fun for all! Happy Birthday. Best wishes of happiness and good health. What a delightful post, Ellen! Hard to believe that she is a year old already! That is so terrific, Grandma! Happy Birthday, little one! Happy Birthday to your beautiful Addy! Can you believe a year has gone by? May the next year bring many more precious moments to enjoy! Sweet post, love the pictures. Happy 1st Birthday to Addy!!! 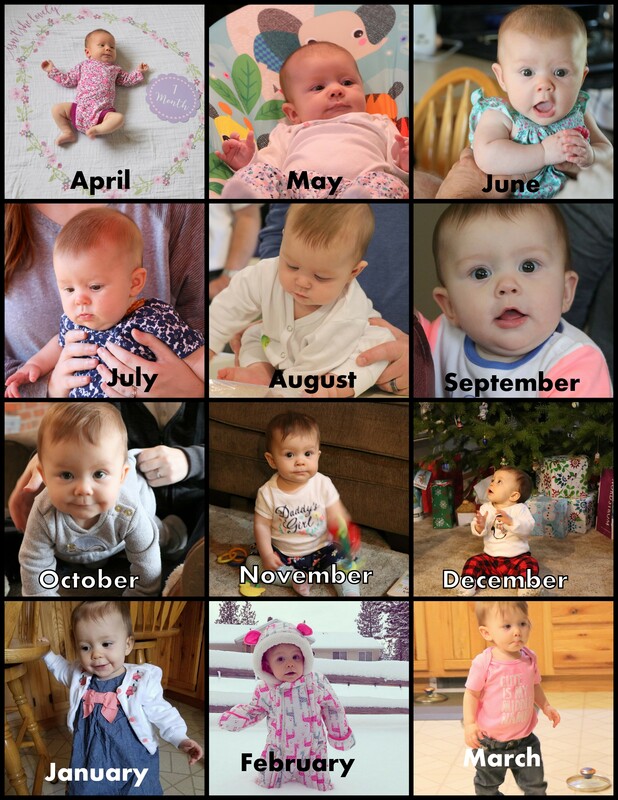 I love every single one of those monthly photos of your sweet Addy! Happy birthday! …a year goes quickly, Happy Birthday Sweetie! She is such a blessing, Precious pics. Happy Birthday. Wishing you a day of fun and a year of blessings. Happy Birthday to Addy! With such loving and faithful grandparents, I have no doubt she is on the right and righteous path! Happiest Birthday to such a precious little girl…She is adorable. I love your collage!! It is amazing how much they change the first year . . . and you have it all recorded! Happy, happy birthday to your sweet Addy! !